superb location in Vila Madalena neighborhood, friendly staff, bright and clean rooms, XL-beds, individual lockers, a fully equipped common kitchen, free Wi-Fi, laundry service, and, of course, a cup of cafe. After a full day of exploring Sao Paulo, spend your evenings socializing in our outdoor bar or resting in our large, cozy home theater. On weekends, join our traditional Brazilian barbecue (BBQ) and make new friends, before heading out to Vila Madalena s vibrant nightlife. Clearly the work of other travelers', a guest wrote. 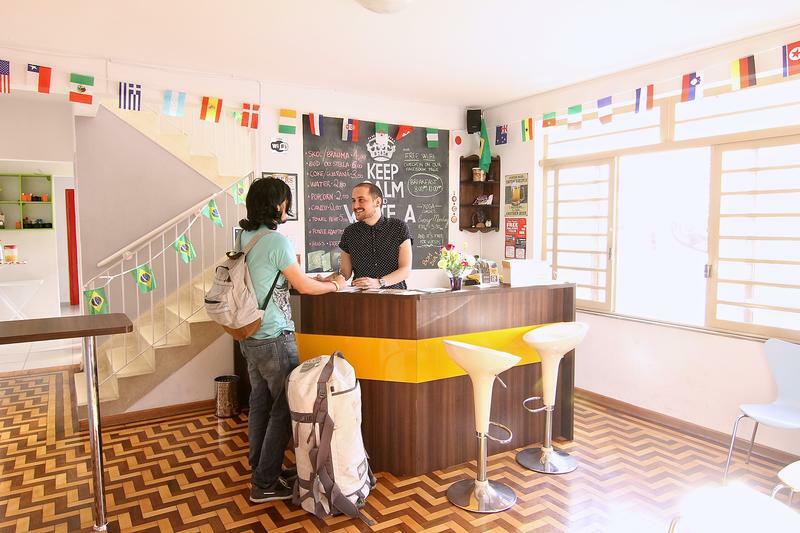 The idea of CafÃ© Hostel was born when RogÃ©rio and CÃ©sar, two friends who, together, have traveled five continents, decided to create a space for travelers in their favorite part of SÃ£o Paulo, inspired by the best hostels they had seen throughout their travels. CafÃ© Hostel provides you with everything you could possibly need: superb location in Vila Madalena neighborhood (only 5 minutes from the metro station), bright and clean rooms, XL-beds, individual lockers, a fully equipped common kitchen, free Wi-Fi, laundry service, delicious free breakfast buffet and, of course, a cup of cafÃ©. Stay on Monday for movie night, Tuesday for yoga classes and Wednesday is ForrÃ³-Night (traditional Brazilian dance). All for free and followed by a free soup dinner. On weekend there's always an event happening. Keep up-to-date on upcoming events on our Facebook page!